Running a childcare centre comes with its own set of challenges and rewards. Each day you will be responsible for caring for children by providing educational, social, physical, and intellectual support to aid in their overall development. Working with staff to manage the daily operations of the centre. Planning, supervising, and engaging in children’s activities and mealtimes. Maintaining a clean, healthy environment. Communicating with parents about their child’s progress and facilitating meetings with parents and staff. 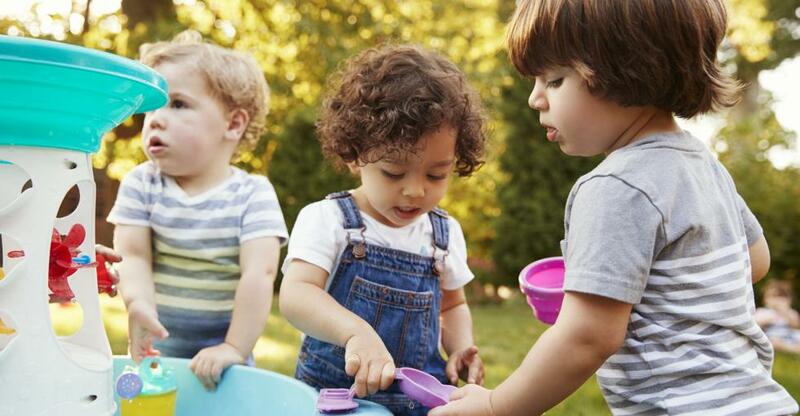 You will also need to be willing to accept legal responsibility for the health and safety of the children in your care, so you should study the Early Childhood Australia’s Code of Ethics. Strong communicator: You must be able to meet children at their level while also interacting professionally with parents and staff. Dedicated: Being dedicated to your profession will help you persevere through the long hours and the varying demands of the work. Respectful: You should be respectful of others and recognise that each child is unique with different learning styles. Creative: You’ll need to think outside the box to develop and deliver innovative learning outcomes. Passionate: Children will be more likely to learn if you’re passionate about kids and dedicated to helping them learn new information and grow into their full potential. Energetic: You should be positive and energetic with a good sense of humour. Organised: Children want predictable routines, so you’ll need to plan well and stick to a consistent schedule. Along with having these personality traits yourself, you should hire qualified staff members who possess similar characteristics as well. Budget-friendly programs: Many parents are carefully evaluating childcare costs and opting out of expensive programs. To offset this, consider offering flexible hours and working out payment plans for struggling families. Education, not just babysitting: Respond to high parental and school expectations by providing a formalised early education curriculum, and hire staff who are trained in preschool education. Communication through technology: Offer video streaming of various classroom activities. Post daily or weekly blogs on your website, and exchange emails or text messages with parents throughout the day. Digital marketing: Set up a strong online presence with an optimised website and post on as many social platforms as possible. Referral system: Word of mouth from satisfied parents is your best advertising tool, so establish a way to reward parents for new client referrals. Community event: Host a fun family activity like an arts and crafts afternoon, a small carnival, or an open house where potential customers can tour your facilities, enjoy snacks, and meet the staff. Networking: Be strategic about forming business partnerships. Connect with local parenting groups in the area, and nurture these relationships. You’ll establish credibility with them and be seen as an expert in your field. Above all, if you and your team strive for excellence in caring for the children at your centre, your reputation will precede you. Rent out your centre: To increase your monthly revenue, consider renting your facility to other organisations when it sits empty and unused after 6:30 p.m. on weekdays and on Saturdays and Sundays. Provide add-on services: Add more family-focused or child-supportive services and products to your business. Listen to your current clients, and provide additional enrichment programs that they have expressed interest in. Offer additional drop-in childcare: A drop-in care program typically offers fun activities for kids and often includes mealtimes and special theme events to provide parents with a worry-free evening or time away from kids. Running your own childcare centre is full of both challenges and rewards. As you navigate the daily routine of nap time, story time, and snack time, don’t forget what an amazing opportunity you have to impact the young lives entrusted to your care. And if you ever begin to feel the need to take a time out, visit here and let us help you with successfully selling your childcare centre.